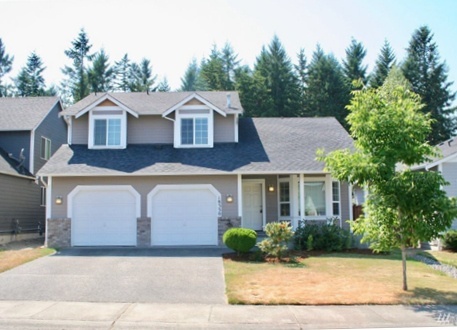 It might be a hot seller’s market across the U.S., but these homes near Joint Base Lewis McChord are affordable, convenient to base, and surrounded by the lush landscape that most of us only know from the movies. 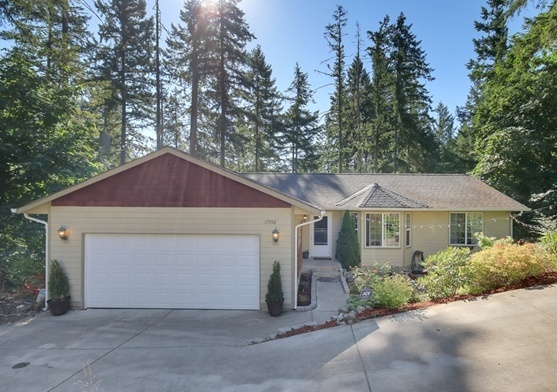 In Puyallup, Spanaway, and Yelm, Washington state, you’re going to get a whole lot of beautiful home for your $300,000. This property is a perfect example of an affordable home filled with extras that add personality and the feel of a much higher priced home. From the outside, the curb appeal alone puts the house in a category of its own. Multiple finishing materials frame the entries and a picture window out front allows plenty of natural light to fill the living spaces inside. Upon entering, a stately staircase separates the foyer from the kitchen and dining areas, providing the best combination of an open concept layout which also includes a gas fireplace. The kitchen is showcased by stainless steel appliances and a modern back splash with just the right amount of neutral coloring. A peninsula island adds extra seating for entertaining purposes. Normally, it’s difficult to find a move-in ready home at this price point, but this property has the benefits of neutral paint and hardwood floors, and yet has the custom details buyers desire, such as coffered ceilings, brick accents, and wood wrapped windows. It’s the perfect combination of ease and comfort. Adding to the list of ready-to-buy features is the five-piece master bathroom complete with tile back splash. There’s no need to update the kitchen appliances either, because they already don the stainless steel finish that is in high demand. A more than spacious, fully fenced backyard awaits to be used for more than one comfortable Pacific Northwest season. For extra storage, a shed is included with the purchase. The owner offers help with the closing costs if the sale doesn’t necessitate a real estate agent. With orders in hand to JBLM, do you dream about a little piece of Washington state heaven, complete with the iconic and gorgeous evergreens? This rambler style home sits within a picturesque enclave of beauty that only this region can offer. In the back, an oh-so-charming sitting area beckons for morning coffee chats. The fully fenced back yard has a large deck within its perimeters. Community outdoor living offers more perks with three lakes nearby, a locals-only store, pool, and plentiful walking and biking trails. All of these are conveniently located within a quiet, private, and gated community. Listed for under $250,000, it’s a must-see on your househunting trip. Even if one of these three homes doesn’t fit your needs perfectly, there are plenty of available properties listed at exactly your price point. 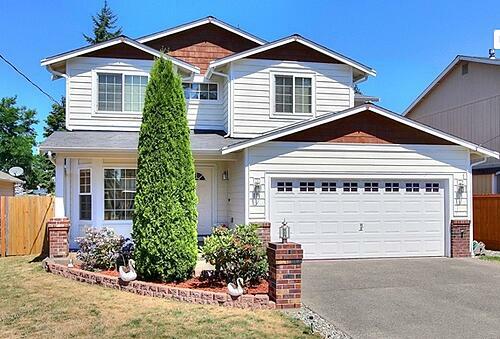 Search MilitaryByOwner's numerous listings near JBLM.